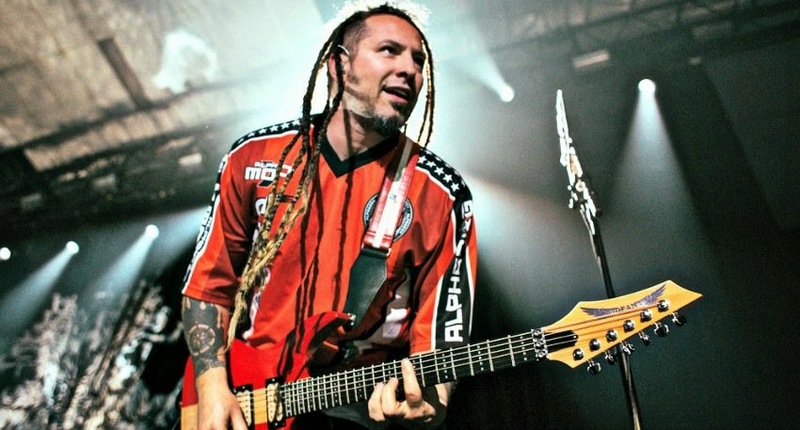 Five Finger Death Punch News: Zoltan Bathory: "I never had a doubt about what I wanted to do in my life"
Zoltan Bathory: "I never had a doubt about what I wanted to do in my life"
These are quantifiable elements - you can measure them by numbers of albums sold and how many times the band headlines a show. But it is the other side of the equation that has no answers: why is FFDP so successful? That is the impossible question. But it seemed well worth pursuing and in this conversation with group founder, songwriter and guitarist Zoltan Bathory, we pursued that mysterious subject. The Hungarian-born Bathory is a relentlessly-driven individual. There is so much more that goes into the foundation for a successful band but this certainly is one part of it. "I would say that since I was a tiny kid, I never had a doubt about what I wanted to do in my life," he says. "I never had a doubt ever for a second that it was gonna happen. The key to success really is you do have to have the unbending strength that you won't accept defeat. You just don't accept no. You don't accept words like 'impossible' and you can't connect to phrases like 'can't do.' Failure is not acceptable. Right?" Why does Five Finger Death Punch always seem to be ahead of the creative curve? There's a chemistry to what we do obviously. There's a chemistry from what comes out of the band members. And then there's a chemistry because I'm European so I have a very European musical background. If you look at European hard rock and heavy metal, no matter what those guys do they're always going to be based on classical music. That means it's building music out of harmonies and melodies and the correlation of those harmonies and melodies. When you take American hard rock and heavy metal, they are very blues- and rhythm-based. So it's more based on the groove and the rhythm. When those two worlds collide, you get this mix and you have both of those worlds so there are melody- and harmony-based things and there are power grooves that are very typically American.